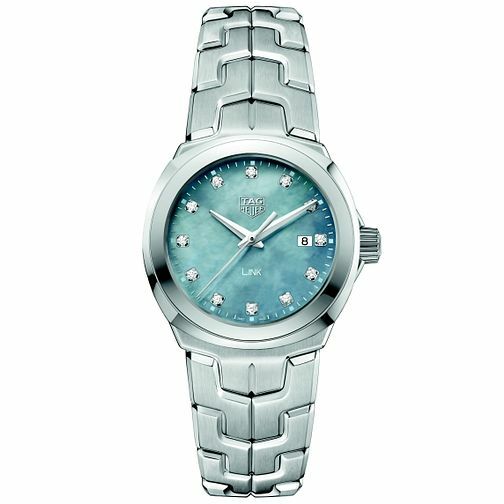 This luxurious stainless steel bracelet watch is from the Link series by TAG Heuer. Crafted with in stainless steel with an elegant mother of pearl dial, stone set indices with date window, this is a beautifully refined timepiece that exudes elegance. Powered by quartz movement.